After such huge publicity, Universal Channel has today announced it will bring forward the premiere of US cult film, Sharknado. It will now premiere in Australia this Friday July 26th at 8.30pm. 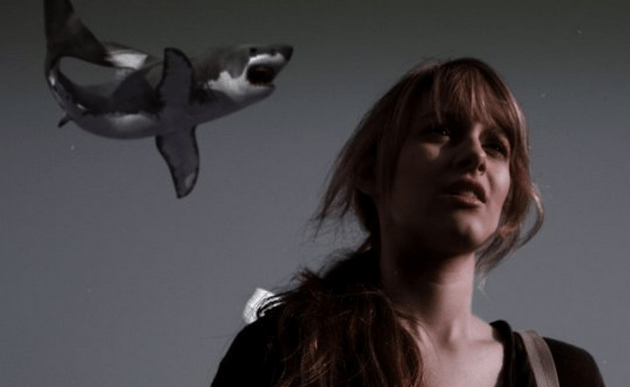 Sharknado sent social media into a frenzy after its recent broadcast on Syfy in the US becoming the biggest film event of the American summer. A sequel has since been announced. Repeat screenings on Saturday July 27th at 10.30am, Monday September 9th at 8.30pm and Tuesday September 10th at 12.15pm. This has possibly the worst continuity ever. Looks like it was such a snap decision they haven’t updated the EPG guide with the change yet. Looked for Sharknado so I could put a record in, not there. It is on the Foxtel website though, so it is just a formality to update the EPG side of things. you thought the digital fx in The Bible were bad, this is worse. Forced my self to sit through the show and thought, well thats time ill never get back!! Depending on the quality of the CGI having them in SD might actually be better IMO. I agree with everyone else that a movie with such a large amount of special effects would have greatly benefited from being shown in HD. Once again you realise how Foxtel haven’t spent enough money on Entertainment-genre HD channels. Great they bought this forward, but we want flying sharks in HD! This sure beats other stuff on Friday night. Should be on a HD channel. NBC Universal has the rights but not an HD channel. It’s not possible for Foxtel to simply play it on another channel.